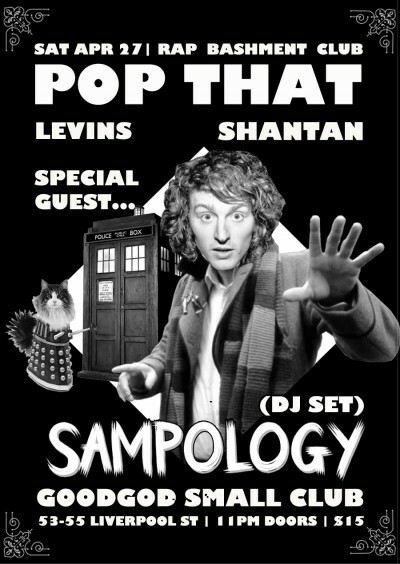 The lords of the dance, Levins and Shantan, are returning to the Goodgod Danceteria for the second ever POP THAT – the night that bridges the gap between rap and club sounds from all over the world. This time they’ve invited a friend from Brisbane to join the festivities – a young wizard by the name of Sampology who has just returned from his American tour! This guy is ridiculous! Pop That will feature all things rappy and trappy, poppy and sloppy. Come shake your butts with this trio of kool DJs!